In the last year, he has seen a new kind of patient: people misusing a substance that some don’t even consider addictive — cannabis. The phenomenon has shocked him. The rate of marijuana use in the U.S. has more than doubled in the past decade. While it remains federally illegal, a growing number of states have passed legislation to lessen that prohibition. Thirty-three states and Washington D.C. have legalized cannabis in some form. Ten of those states have legalized recreational cannabis for adults 21 and older. 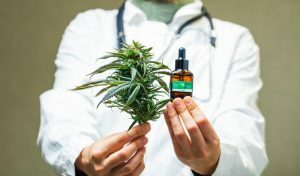 Whether or not cannabis can actually solve the health problems that people use it for — nausea from chemotherapy, anxiety, epilepsy and dementia, among others — has not been confirmed. Cannabis remains a Schedule I drug under federal law, meaning that its effects, beneficial or otherwise, cannot be adequately studied by American researchers. 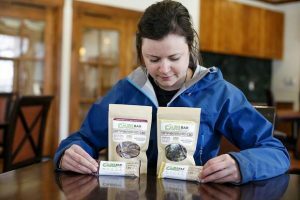 At a time when cannabis has become more common and more potent than ever, mental health professionals, like Gurney, worry about its effects on mental health. 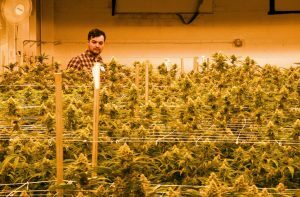 When Colorado legalized medical marijuana in 2000, Gurney was optimistic about its potential benefits. He saw it as a healthier, safer alternative to more addictive prescription medications such as painkillers or antidepressants. But during the past year, people have come to him complaining that they can’t wean themselves off of cannabis. When they tried to stop using, they became agitated, even depressed. A statewide youth survey published Tuesday by the nonprofit Rise Above Colorado showed that one in four children age 12 to 17 said they had six or more difficult mental health days in the previous month. 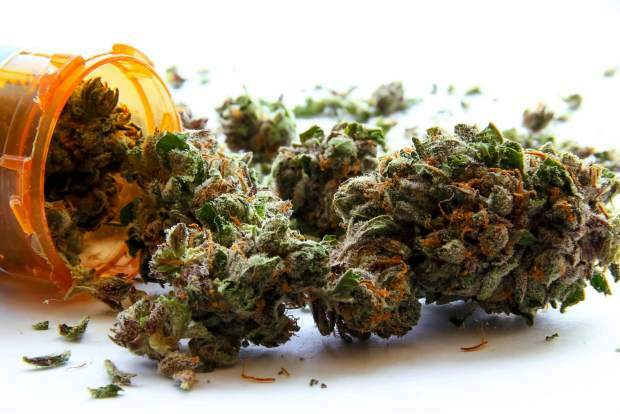 “These teens are significantly more likely to have tried alcohol, marijuana and prescription pain relievers,” the survey said. He estimates that he treated more than 1,000 people with schizophrenia each year at the state hospital. They all had one thing in common. Correlation does not imply causation, and Messamore was quick to say that he does not believe that everyone who smokes cannabis will become psychotic. These are people who heavily used marijuana during their adolescent years when their brains were still developing. Some argue that people who already suffer from a mental illness are the ones most likely to use drugs. They make the case cannabis is a way to cope with psychosis, not the cause of it. While Messamore said that more research needs to be done about a possible link between marijuana use and schizophrenia, the fact that all of his schizophrenic patients had a history of marijuana use is striking. As far as how marijuana leads to psychotic breaks, Messamore theorizes that THC, the psychoactive ingredient in marijuana, floods the brain with dopamine. When he moved to Ohio in 2014 and began work at a residential treatment center, Messamore started seeing these symptoms in a particular type of patient: middle-aged professionals who worked in intellectually demanding careers like law and medicine. 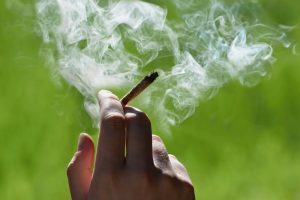 The only link among most of those patients was that they used cannabis as an adolescent, as well as to cope with the rigors of their undergraduate and graduate studies. What he rejects is the idea that marijuana is harmless, an idea that he saw touted among marijuana activists in Oregon.